In any donor relationship, there are basic principles that must be present to inspire strong donor retention: Awareness, Appeal, Acknowledgment, and Affirmation. 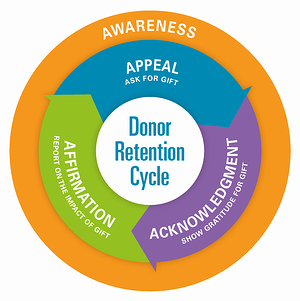 However, this donor retention cycle can easily be broken. For instance, if the offer is not something that motivates action, a gift may not be forthcoming, and the cycle either doesn’t begin or doesn’t continue. Worse still, if there is no timely “thank you” for the gift, or if your donor does not understand the impact her gift has made, then her likelihood of contributing again greatly decreases. One of the most significant communication elements in your relationship with your donor is to provide prompt and relevant appreciation for her gifts. A simple, timely expression of gratitude is perhaps the most important, but most frequently overlooked, keystone of strong donor retention. By showing appreciation for your donor with these 8 strategies, you encourage her to continue on the donor retention cycle. Timing. Send acknowledgments out within two to three days after depositing the donor’s gift. Typically, the lag time between a donor’s gift being sent in and receipt of an acknowledgment is five weeks. Although this is often necessitated by the caging and fulfillment process, it is nevertheless a long wait for the donor to be thanked! Since there is a direct correlation between timeliness and receipt of another gift from the donor, it is very important that you thank your donor for her gift as soon as possible. Cross-channel. Just because a donor gave online does not mean she refuses to communicate by mail. Multi-channel communications often prompt activity in multiple channels. 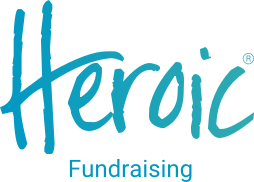 A direct-mail appeal may generate an online gift, for instance, or a direct-mail donor may interact with her preferred charity on social media. Second gift opportunity. Donors who support you care about accomplishing your mission of lives redeemed, patients healed, families fed, veterans honored, or animals defended. An acknowledgment not only communicates gracious appreciation, but also provides an opportunity for the donor to give again. Be sure to include a response device and reply envelope in your acknowledgments, even if you make no hard “ask” for another gift at that time. Typically, our clients enjoy a 3-5% response rate to well-crafted second gift opportunity acknowledgments. Link the gift to the offer. Write your acknowledgment copy as part of the appeal copy package so that your acknowledgment message links back to the reason the donor gave her gift. This helps to complete the retention cycle for the donor and personalizes her affirmation. 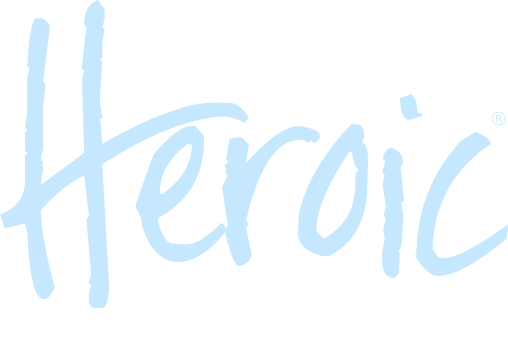 Additional donor marketing opportunities. In the acknowledgment package, include opportunities for additional engagement such as events, Planned Giving, or becoming a sustainer donor. Accuracy. It seems obvious, but be sure you get the donor’s name and gift amount correct in your communications. Simple, avoidable errors like this can undermine donor retention. Feedback opportunity. Provide the donor with a telephone number and email address for feedback regarding their giving or any other concern that they might have about your organization. Opening up two-way communication is particularly important with your mid-level donors. Survey. Along with feedback channels, include surveys from time to time — even just a single question related to your mission is an opportunity for the donor to express their opinion and engage with you. Put these 8 strategies into action today to motivate your donors to be loyal to you tomorrow.